Students from the UO’s Warsaw Sports Marketing Center organized a three-on-three basketball tournament April 3 to raise money for scholarships. 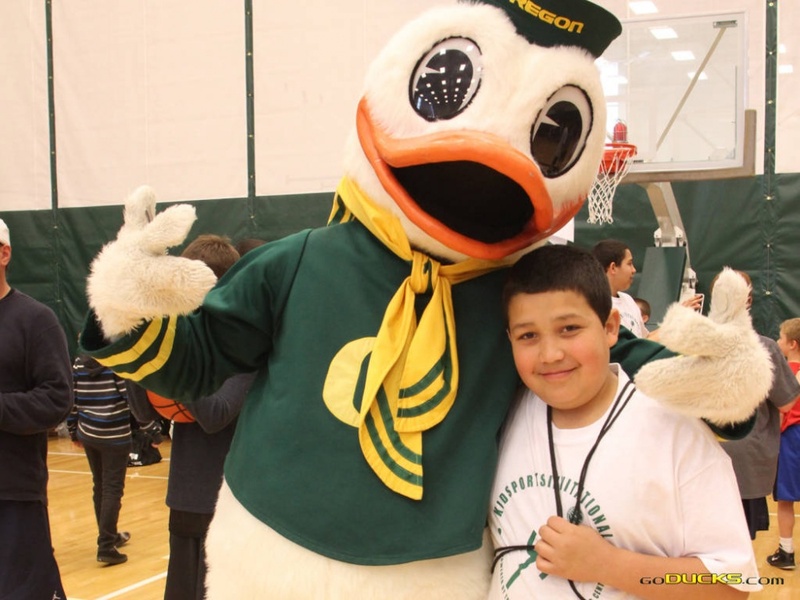 More than 250 kids competed in the 18th annual KIDSPORTS Invitational at Matthew Knight Arena. KVAL News, the Eugene CBS affiliate, covered the event. Proceeds from the three-on-three tournament go to two beneficiaries, the Stephen Dember Memorial Scholarship Fund and the KIDSPORTS Emerald Scholarship Fund. The Stephen Dember Memorial Scholarship Fund is given annually to an outstanding sports marketing student. The KIDSPORTS Emerald Scholarship Fund allows kids of all ages and financial situations to participate in team sports. To watch the full story, see “265 youngsters compete in Kidsports Invitational at Matthew Knight Arena” on kval.com.